The Rappahannock League for Environmental Protection (RLEP) has graciously sponsored a Lyme Forum. The first presentation included speakers addressing a wide range of topics such as tick identification, ongoing studies, symptoms and diagnosis. They also spoke about the main carriers of the deer tick/blacklegged tick (Ixodes scapularis), and to everyone’s surprise the primary culprit is the 4 legged white mouse (Peromyscus maniculatus). Yes that’s right, a mouse. The second presentation was the showing of the film Under Our Skin. This film was content rich and frightening. It explored the history of the disease, the discovery of the bacterium that causes Lyme (Borrelia burdorferi), the difficulty diagnosing Lyme, the politics involved and how that affects the treatment available to a Lyme sufferers from both a medical standpoint as well as how insurance companies use the information. The film is available for sale, and is a worthwhile purchase. Under Our Skin, underourskin.com, facebook.com/underourskin. National Capital Lyme Disease Association, natcaplyme.org. 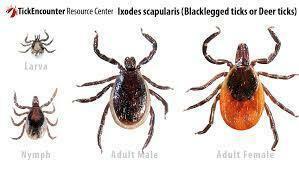 International Lyme and Associated Diseases Society,ilads.org. 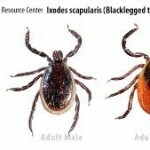 Lyme Disease Association, Inc. Please note that this website provides referrals for Lyme-literate physicians, lymepolicywonk.org.